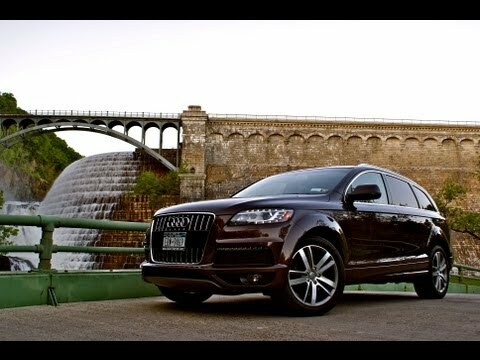 If you require seating for seven but dread the thought of trying to park a full-size SUV, you'll love the Q7. The Q7 's available rearview camera guides you into place with an onscreen view. Hauling people? Try the 28 different seating configurations. Cargo? Maximum trunk capacity is a mammoth 72 cubic feet. The seat warmer is very relaxing in the winter time. There are no problems with the car other than the backup camera does not work but I can back a car out without it the radio does not work either but that is fine the seats are very comfortable it is road trip reliable the kids love it the Audi is also good on gas $20 get you half a tank of gas that is not bad at all in my eyes. A great mid-size SUV comfort and style in one. I have loved my car. It is dependable and I love the folding down back seats. It provides lots of room and can seat 7 if needed. It is easy to park with a great turn radius. Outlook and interior design so beautiful. And also comfortable. It was really comfortable and luxurious. No problems at all on my vehicle & when I go out of the city for long journey it was good feelings.